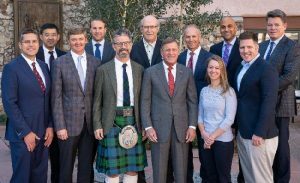 It was an honour to be invited to join the distinguished Faculty at the Beaver Creek Foot and Ankle meeting in Colorado. 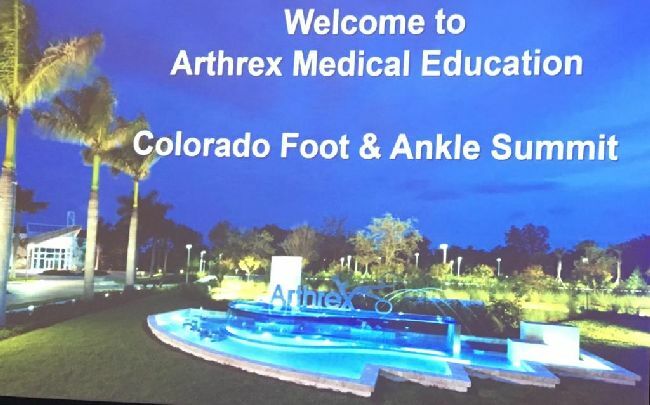 Over 150 attended including some of the top US Foot and Ankle surgeons. This included experts from California, Vegas, Chicago, New York and Alabama. 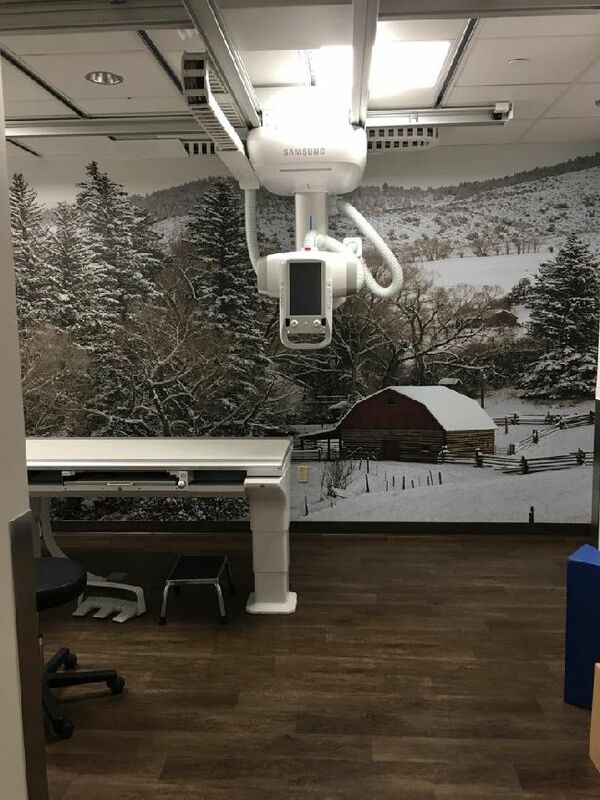 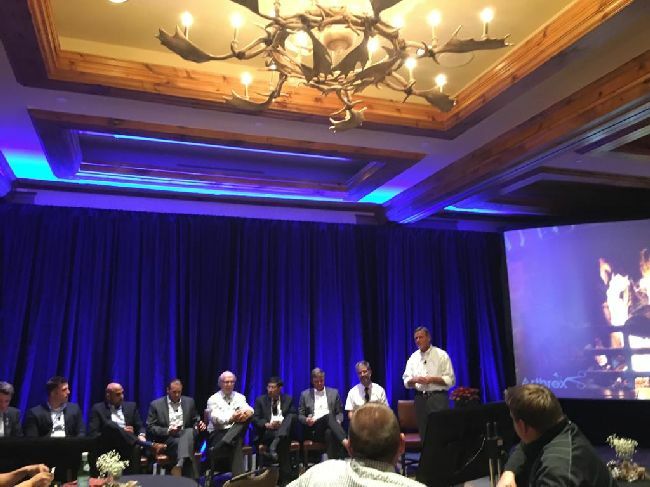 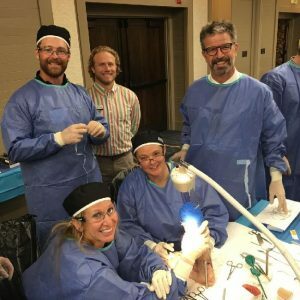 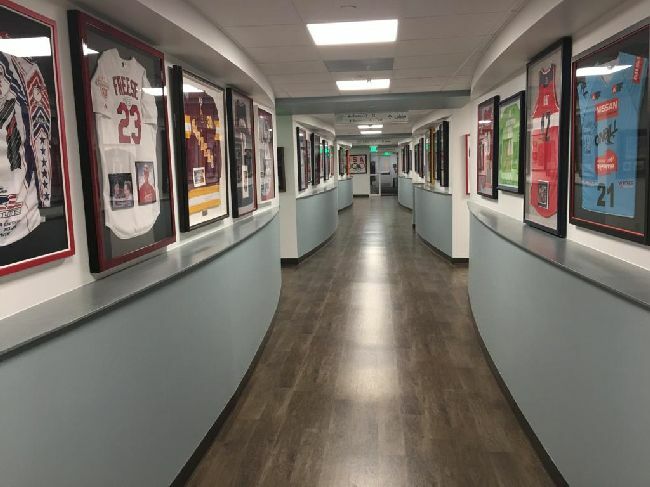 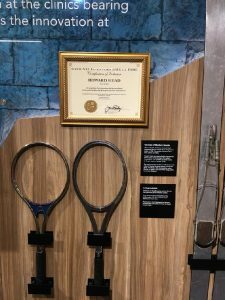 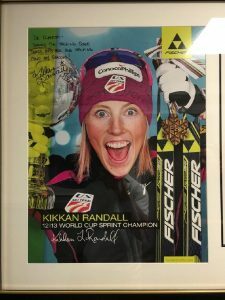 It was convened by Dr Tom Clanton, a world renowned Orthopaedic surgeon and Director of Foot and Ankle surgery at the famous Steadman Clinic in Vail. 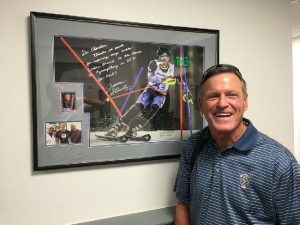 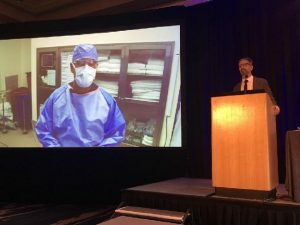 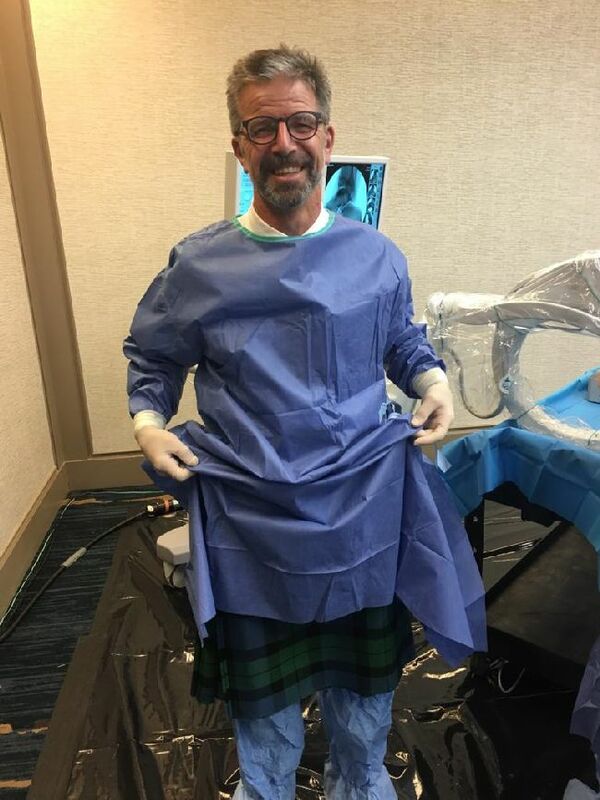 It was exciting to return seven years after my first visit to Vail when I was invited to be part of the Grand Rounds at the Steadman Clinic. 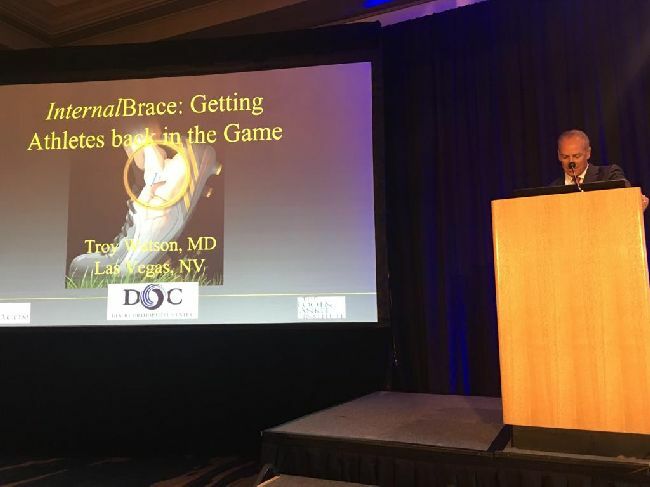 It was with Tom’s guidance that we started on the path to revolutionise patient care with the InternalBrace. 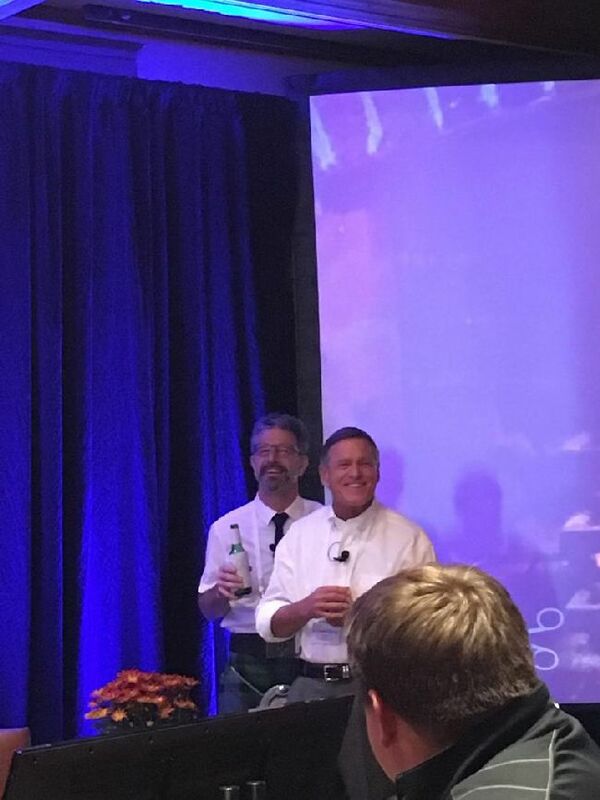 I will always be indebted for his support and mentorship. 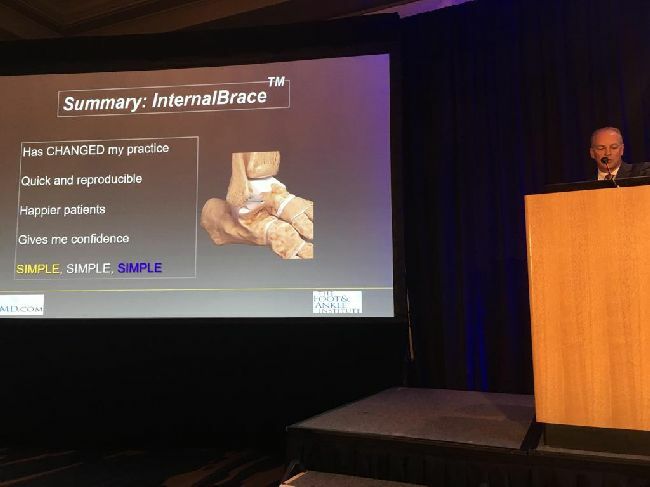 Within this context it was remarkable to hear from the distinguished Faculty of their shared experience with the InternalBrace and its ever increasing applications to protect ligament repair and reconstruction of the distal extremities. The consensus was of transformed patient experience and accelerated recovery. 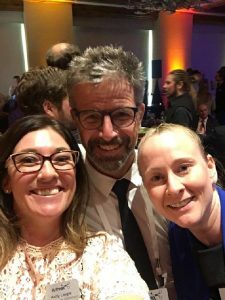 It was this group which lead the way and inspired the confidence for its wider use. 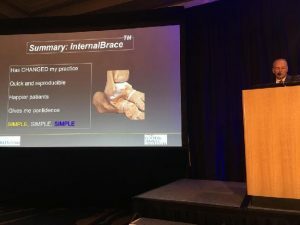 InternalBrace applications are now routinely used throughout Orthopaedics to protect ligaments including the shoulder, knee, hand and elbow. 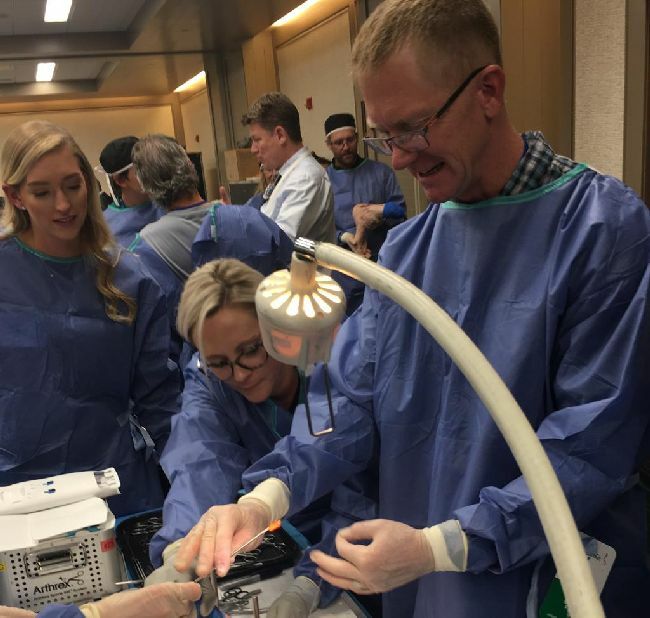 The skills lab allowed surgeons to internally brace the lateral, deltoid and syndesmotic ligaments as well as more challenging applications for the mid foot including the spring ligament. 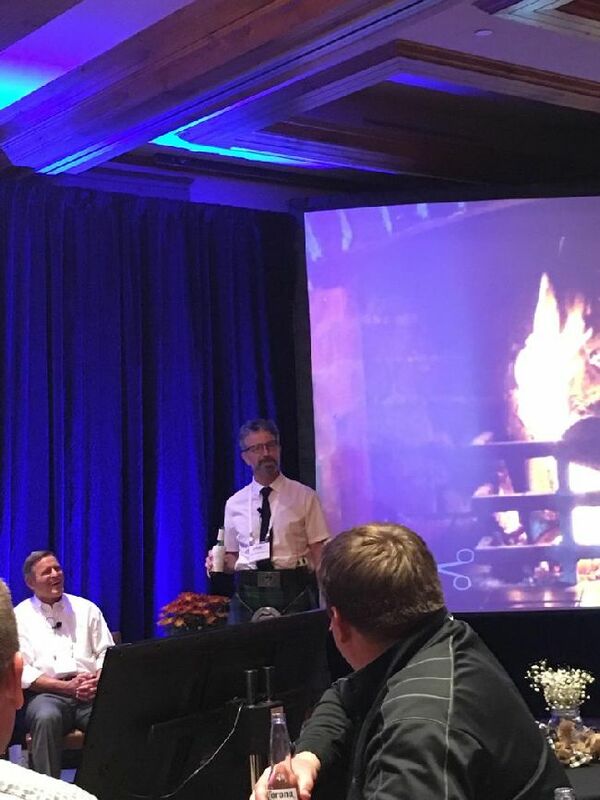 The social side was every bit as good with a fun fireside chat which allowed Tom and I to reflect with delegates on the funnier moments. 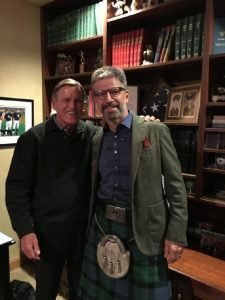 Tom and his wife Kay were also great hosts inviting myself and Jackie to join them after the course for dinner and a drop of whisky. We also combined the clinical meeting with our ongoing research. 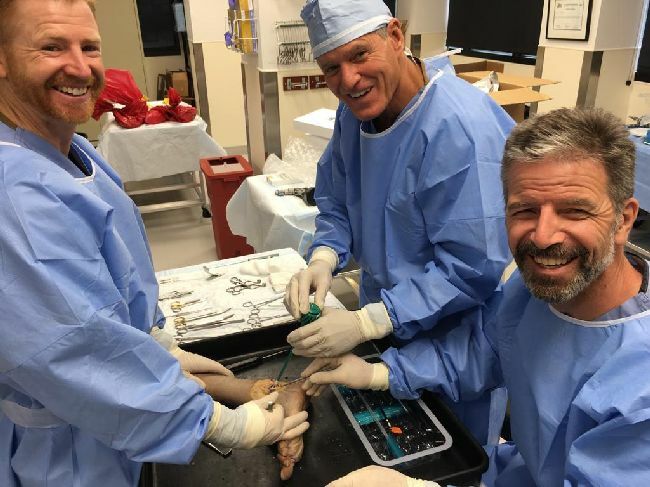 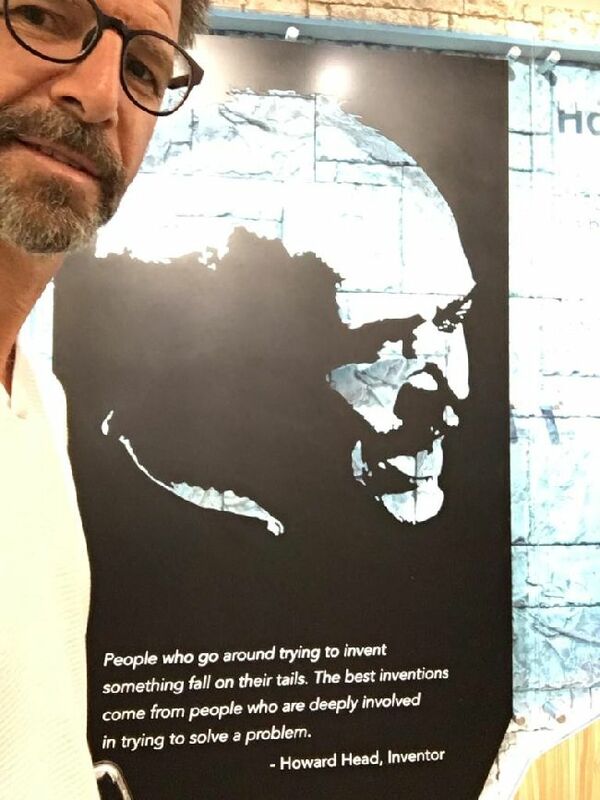 Tom and I met at the Steadman Clinic and worked on plans to use robotics at the Steadman-Philippon research laboratory to look in detail at the role of the InternalBrace in restoring stability after serious high ankle sprains and techniques to enhance anchor placement. Jackie and I returned home exhausted but inspired by our friends and the beauty of Colorado. 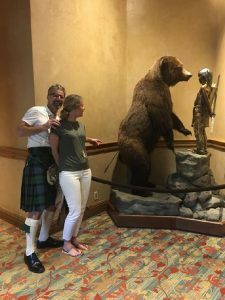 Hmm not sure they would be standing that close if that bear moved at all! 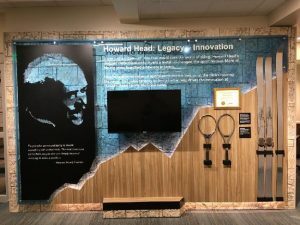 Howard Head in the Hall of Fame at the Steadman. With great friend and mentor Dr Tom Clanton. 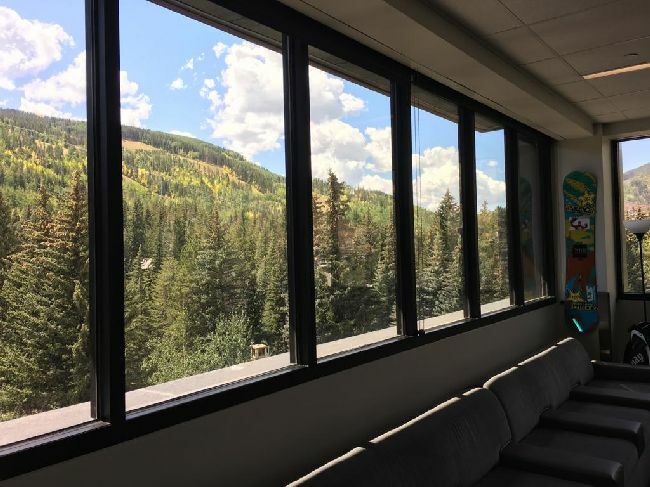 What a great idea a room with a view at the Steadman!